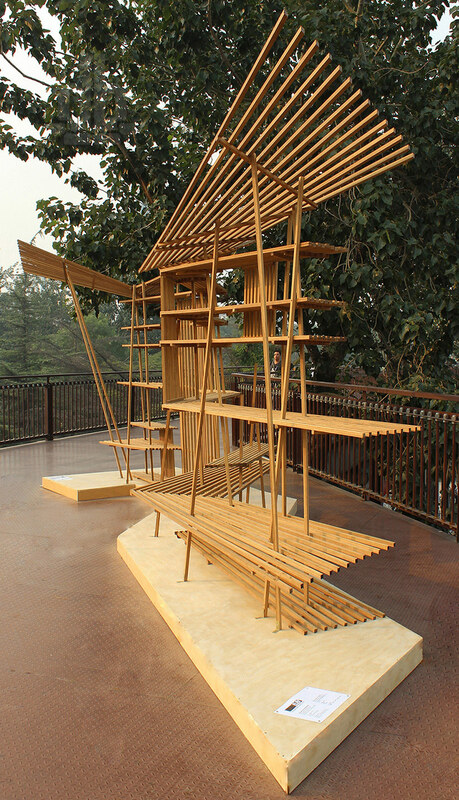 as part of beijing design week 2013, chinese firm elevation workshop have designed an installation for the ‘clue’ exhibition. 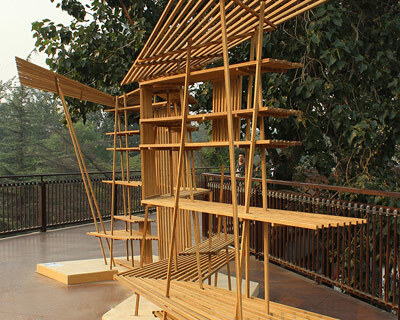 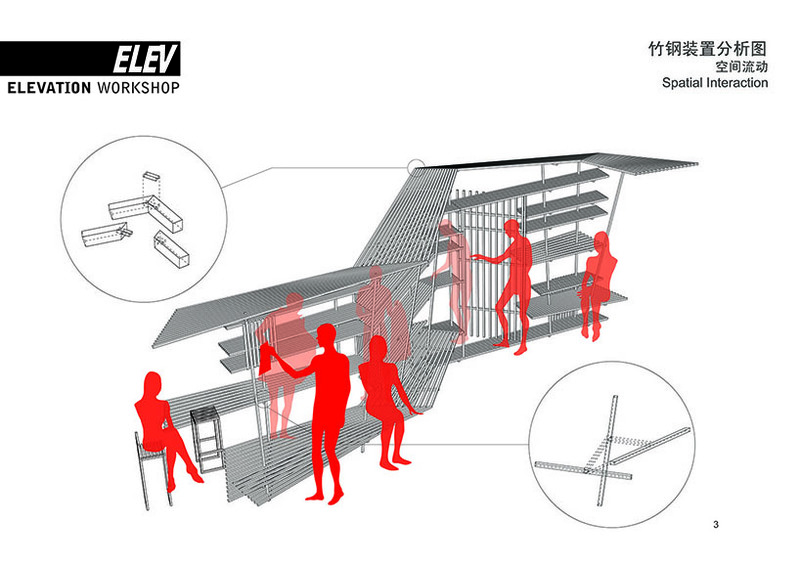 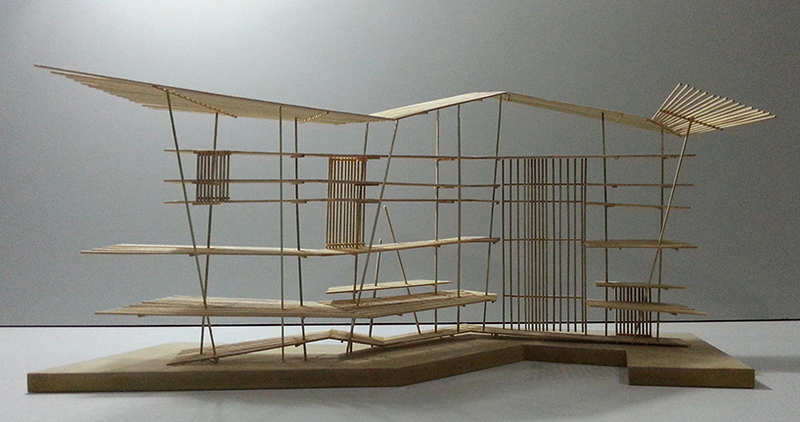 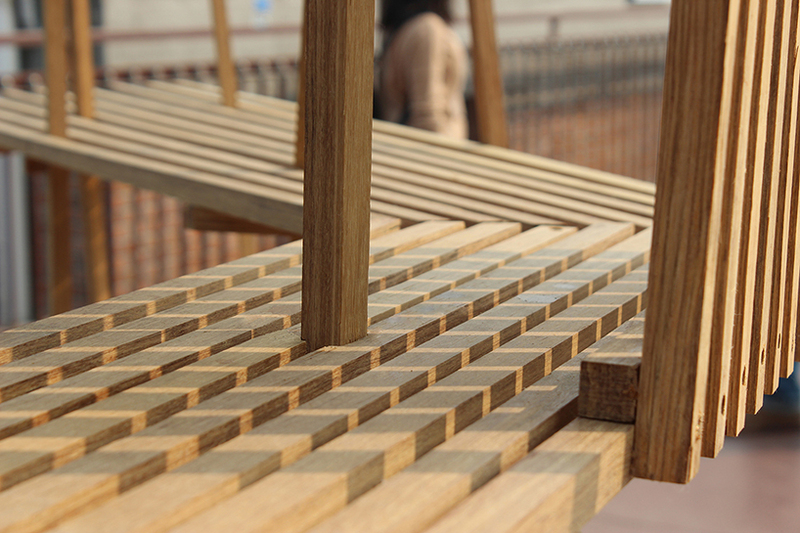 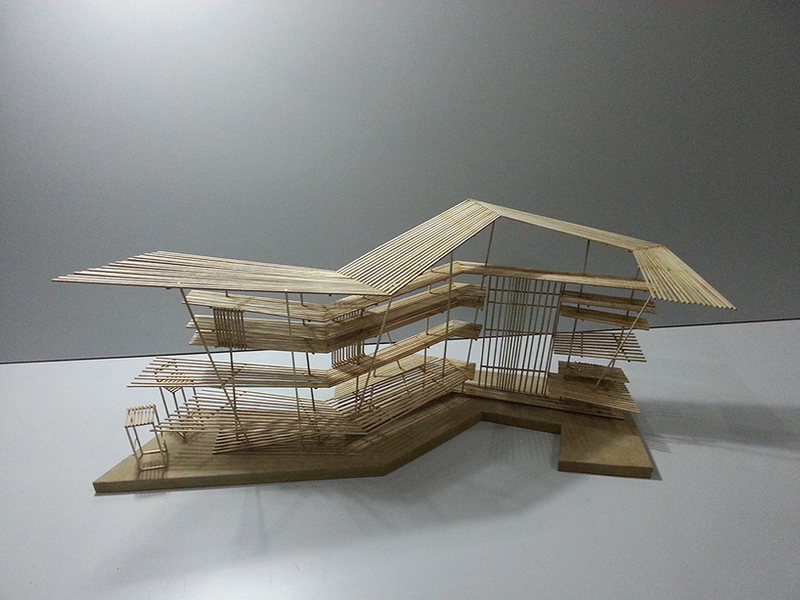 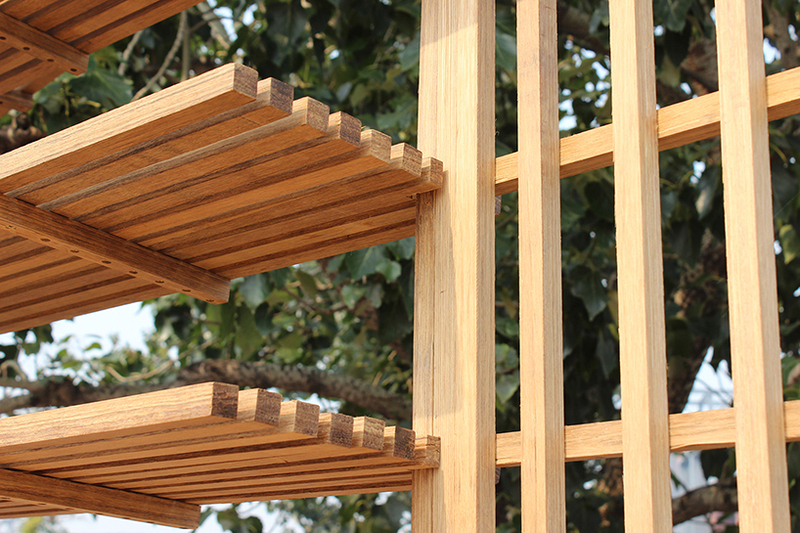 thirteen architects were invited to construct a piece using bamboo steel. 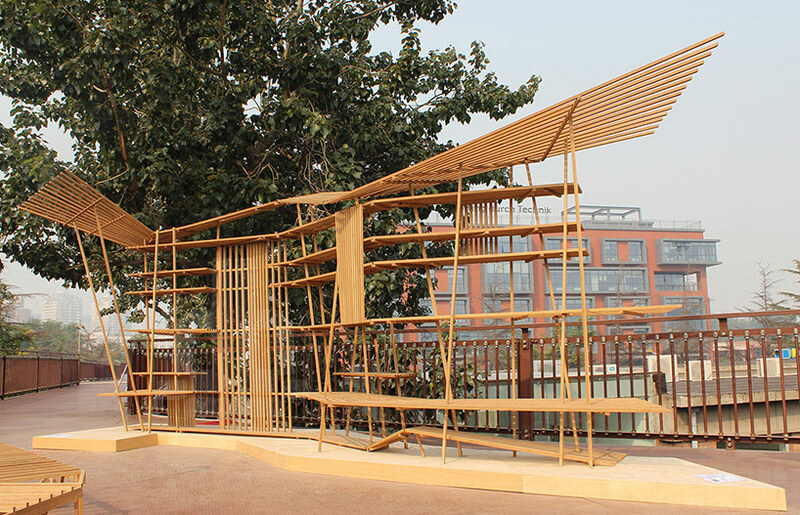 the works are all on display outdoors on the high bridge at the 751 fashion and design plaza, within a former factory zone in the northeast of beijing. 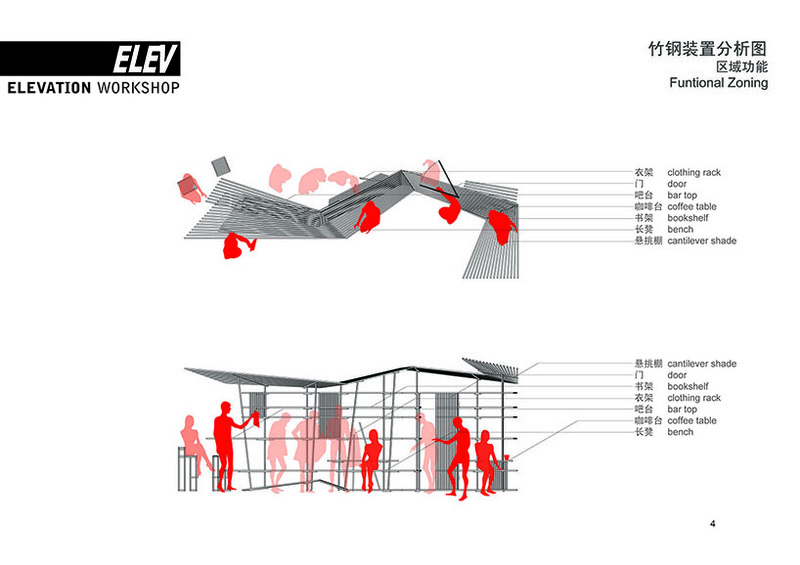 the exhibition runs from september 26 until october 3rd.